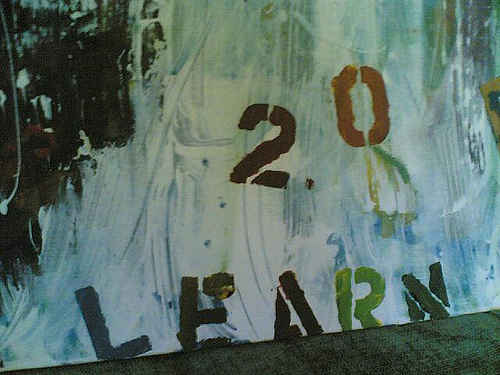 Is Learning Falling Down When it Comes to Complexity? Before acting in a manner consistent with complexity principles, people need to understand what they are, how they are different from other systems, and what it means for their work. With mainstream education, professional practice so geared to linear forms of learning this bodes poorly for building better systems thinkers. “Let’s just throw some social media at it” is a variant of an expression I often hear in my work in health communications consulting and training. Organizations seeking to use the new tools and media employed by Facebook, Twitter, and YouTube genuinely want to “get in the game” and use them effectively. Where things get problematic is when I tell them that social media is principally about building relationships and that extends to organizations: you need to relate and therefore act according to how you build relationships. Just as no one (at least no one I’ve met) would consider drawing up a flowchart and showing a prospective mate the planned trajectory of their dating relationship with milestone targets and deliverables, no organization should think that they can just shovel content to people and expect their audience to relate better to them. At first one might attribute this to a lack of understanding of social media, but that is only a small part of it. Empathy is another. But the third and perhaps biggest reason is a fundamental lack of understanding of complexity and what it means. The seductive nature of the “best practice” and the prescription for change in 5,7, 10, 12 or whatever easy steps is something that is endemic in our society. These forms of thought suggest a linear trajectory of events, suggest an ability to control for externalities and parse out their impact, and provide a prescriptive solution that removes much of the worry about unknowns. But H. L. Mencken’s often quoted phrase (which I’ve used often) suggests the folly in this. Simplicity is another way to get around complexity. It is something sought, but rarely achieved in its application to the lived reality of the human condition, and although much discussed it hasn’t been widely achieved as a means of policy effectiveness. The reason lies with the nature of complexity itself and its resistance to reductionism. Evidence from biology through psychology (see previous links for examples) points to the considerable problem that science has with applying linear modes of thought and inquiry to complex systems. The problems here are multifold and complicated, if not complex. 2. It’s more convienient to think in dichotomies than spectrums. As I’ve written previously, spectral thinking is something critical to many of the issues we face in complex systems. Good/bad, strong/weak, X/Y lose their meaning in complex environments where there is a. 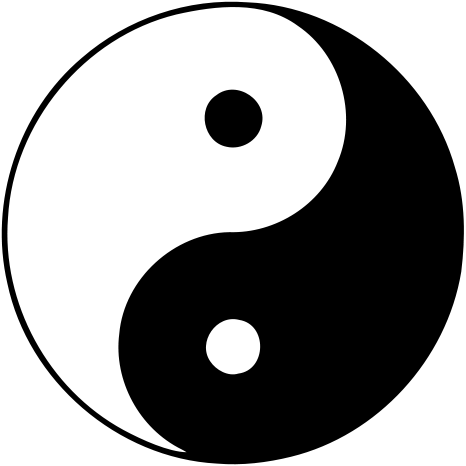 Of all the dichotomies that work, only Ying/Yang comes close. But its a more difficult concept to grasp that maybe things aren’t all one way or the other, that there is use in even something that isn’t well constructed. This problem (and the ones that follow) are tied to the first one: education and learning systems are not set up for this. We are primed for either/or thinking. Think in criminal justice terms how easy it is to demand harsh punishment for criminal acts without considering that the perpetrators are human too, even if their behaviour is unacceptable. The only dichotomy that works in complex systems? 3. Our decision-making tools are ill-equipped to handle ambiguity. Health care is a great example of how badly we do at complexity thinking. Consider the systematic review, often viewed as the gold standard for evidence for adoption into healthcare organizations. If it has a good systematic review, then the chances that we will see that evidence translated into practice is good, right? No. Surprisingly, even systematic reviews of systematic review use shows a mixed bag in adoption. Systematic reviews are designed to reduce ambiguity, but (for those on human social systems at least) they only illustrate how much there is. A systematic review only looks at the evidence created, it doesn’t include all those questions that were never asked, never funded for inquiry, or couldn’t be structured in a manner that fits the criteria for a good review. It is, by its design, reductionistic in its approach to complexity. While we plan, the complex systems move along. We can plan and fail, fail and plan, or plan to fail and work build the strategic foresight to know what to do with these “failures”. So now what? Being aware of these things is a start, but making systems change is really the key. Making change is about questioning the way we have been taught to learn, and what our assumptions are about the universe are. Learning the difference between a simple, complicated, complex and chaotic system and the means to identify when those systems present themselves (and how they often change) is another. This means finding like minds, sharing stories, and building networks. It means creating space for relationships — even in our linear planning models if we must keep them (or better yet, get rid of most of them) — and considering what kind of returns we get from paying attention, being mindful of our systems, and what kind of things contemplative inquiry might offer that simple, detached data analysis does. These are starting points, but not all of them. Addressing the challenge of complexity is, ironically or perhaps appropriately, complex. But the challenge of dealing with the negative outcomes resulting from overly simple approaches to dealing with complexity will ultimately be far more so.